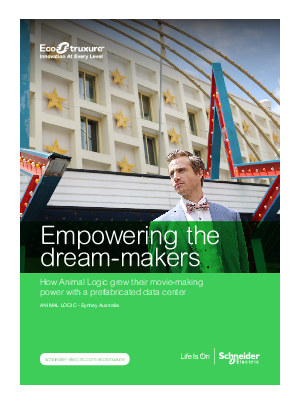 With over 25 years of experience, Animal Logic has been at the forefront of creating digital content, award winning visual effects and animation for the film and television industries. Business impact of latency bandwidth costs, security and increased data sovereignty demands forced Animal Logic to come up with an alternative solution. See how they continued to make movie magic with the help of a prefabricated data center from Schneider Electric.